Ah, I finally see the point of 4-wheel drives. It was an incongruent thought that entered my mind as we barrelled over another dune. But that’s my brain for you. We hung on for dear life, trying not to crash into the sides of the vehicle as the driver rocketed us up and onwards, aiming for the dune ridge with impunity skill. Miraculously the vehicle remained stable, even as we rocketed across apparently precipitous angles. 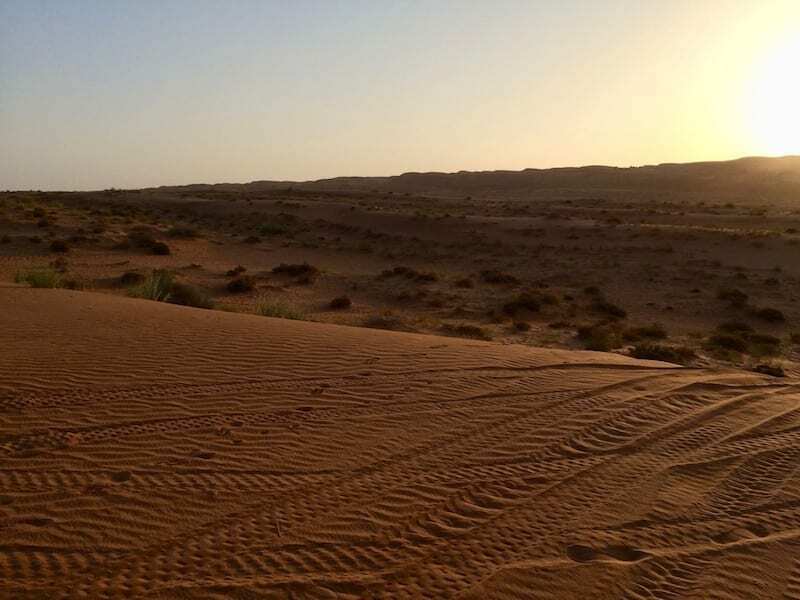 We had arrived at Arabian Oryx Camp in Wahiba Sands not an hour ago. It was already close to sunset. Upon discovering that they take guests up the sand dune ridge to see the sun set over the opposite ridge, we asked if it was still possible to go. It seemed like we would miss it, which would be a shame. We were unfortunately only there for the night. 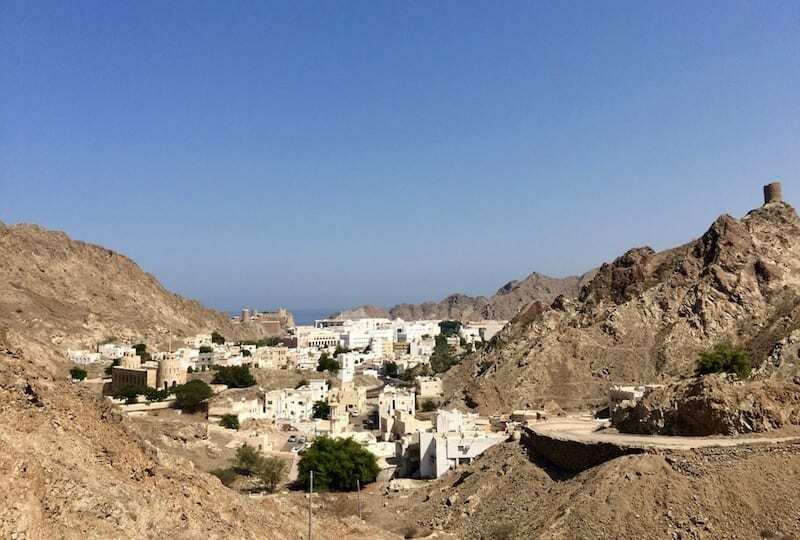 Uncertainty over whether the coming Monday was a public holiday or not, meant that my expat friends local to Muscat couldn’t afford to risk staying longer. The manager went to look. He cast an expert eye at the lowering sun and called a driver. It was possible. We dumped our bags in our rooms and rushed to meet our driver by the 4×4. And the man certainly took his job to take us up in time to see the sunset, very seriously! I guess it betrays my age. I still associate the idea of rolling sand dunes and Arabia with Scheherazade tales over 1001 nights. With semi-wild horsemen and beautiful Arabian steeds, with khamsin and magic and folklore of djinn. With wheeling stars across stark, unblemished sky, and caravan trails of silk and spices. Oases and mirages. I had this association from literature. 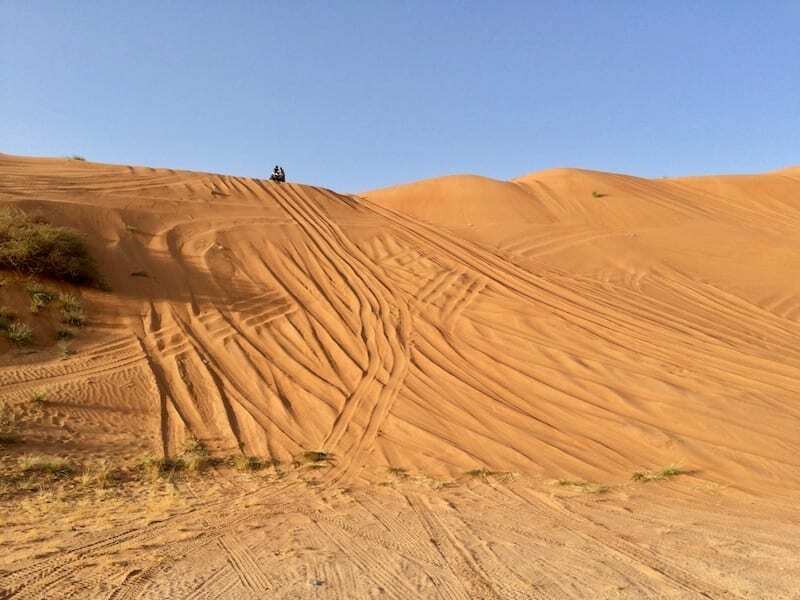 This was how literature presented the Arabian desert, before its image became overlaid with drone strike crosshairs or as familiar backdrop to real-time tactical strike video games. 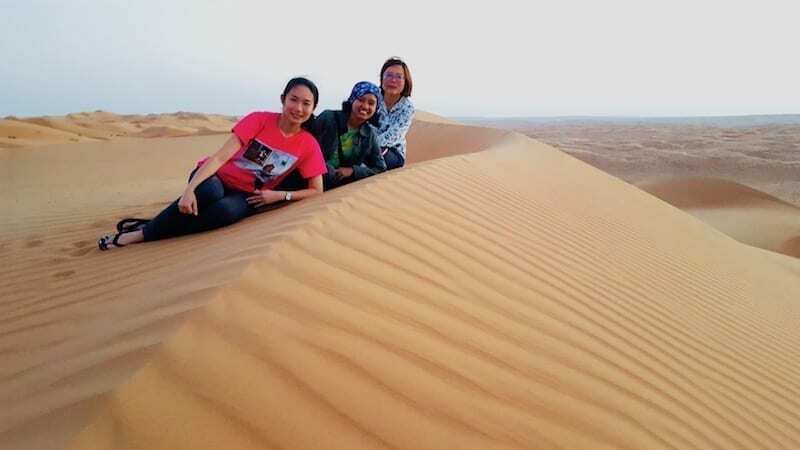 So when my work took me to Oman, and my friend who became an expat in Muscat organised a trip to the Sharqiyah desert, of course I was in. 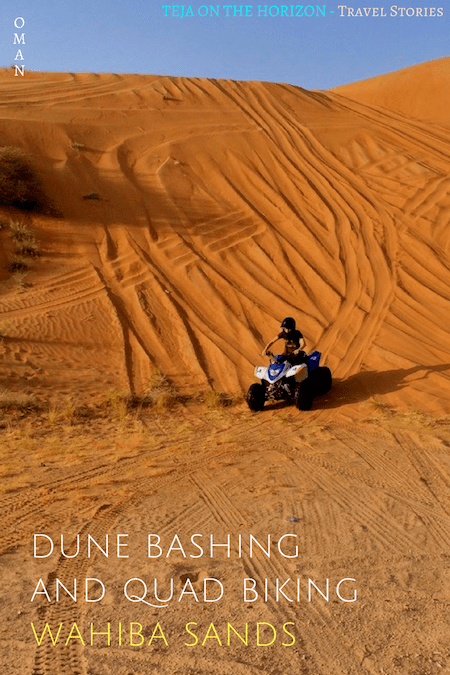 I couldn’t miss the chance to see real desert sand dunes for the first time. 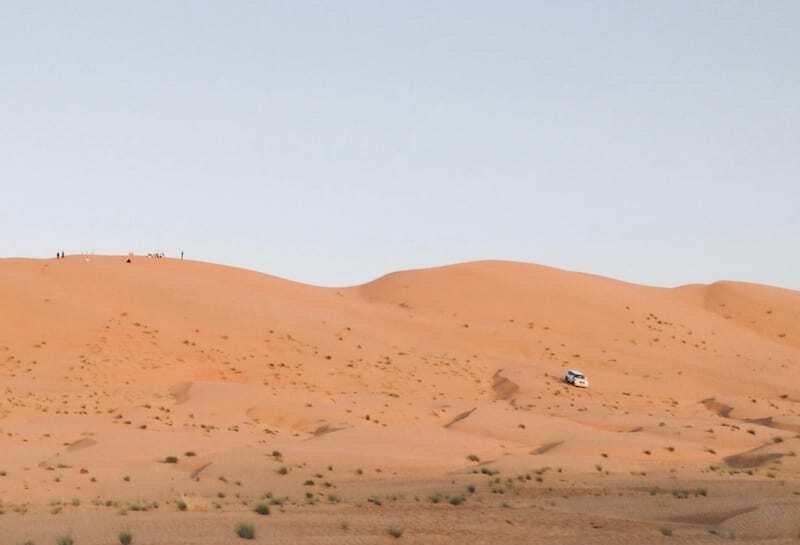 Our driver left us on the ridge and sped back across and down the dune slope after assuring us in rudimentary English that he’d be back for us. Left on our own, we looked at each other. We made it. The sun was a tiny orange ball hovering just over the horizon at the top of the ridge on the other side of the desert valley. It was surprisingly still. So this is what it’s like, standing on a bank of sand. I hadn’t expected the slope to be quite so tall. We looked around, and that was when I saw the sand dunes proper. Behind me was an enormous expanse of sand, in gently undulating crests as far as the eye could see. Ephemeral ripples etched by meandering winds on its beige-orange surface, looking almost fluid, like the sea. 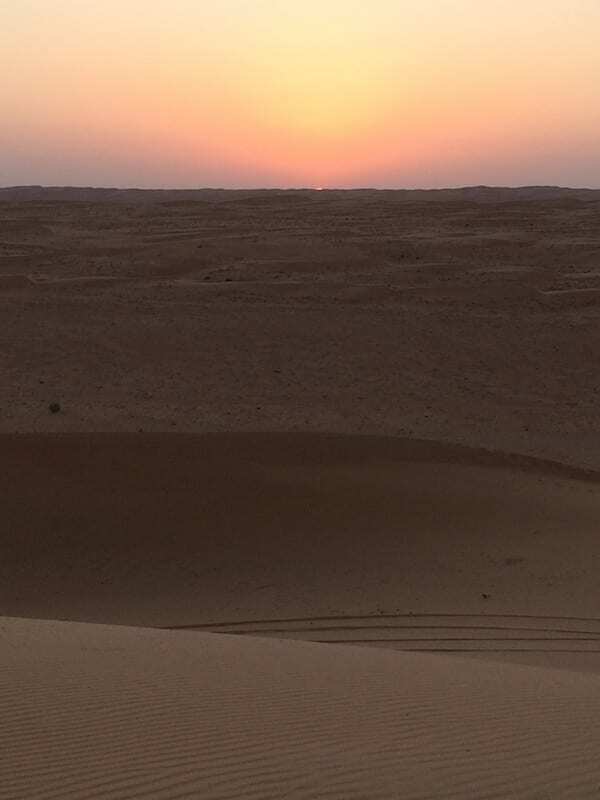 I could see why you could easily become lost in the desert sands. You cannot navigate by these dunes any more than you could mark your voyage by the waves. And I was perplexed over how it was that the dunes, this massive bank of sand, seemed to simply stop, and drop down to the valley where the desert camps lay. A light wind occasionally wafted stray grains of sand, but otherwise it was calm. We couldn’t really hear the other groups, on their respective sand perches along the ridge. Eventually Cindy wondered where our driver had gone, and when he would return. We watched the sun fall below the horizon. Red and orange light suffused the sky in a pastel glow as the darkness crept in. Chian told us about the time she went on a caravan tour across the Moroccan desert, and the unbelievable play of light – the teja – that she saw in that desert. Indescribable, she said. We looked down the valley, and saw the lights begin to come on in our desert camp. And soon, the 4×4 announced its impending arrival in engine roars, and we rolled back down to the valley. 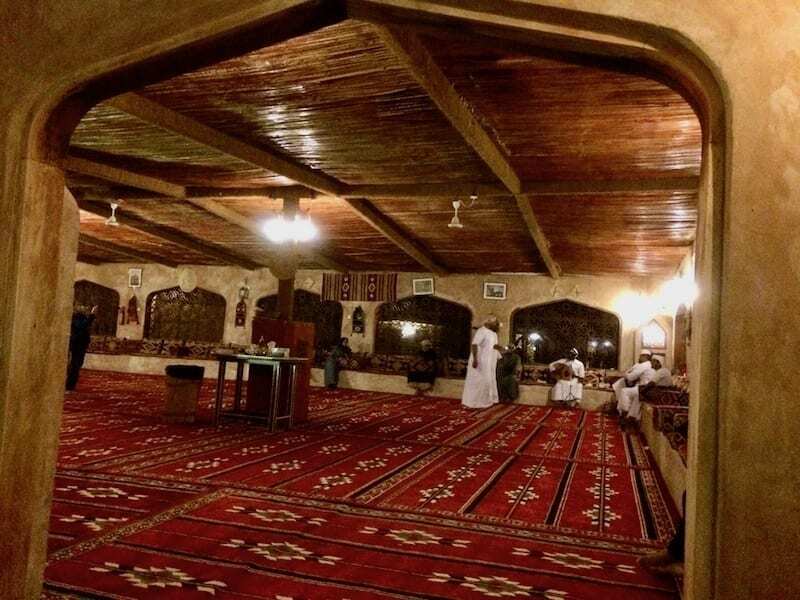 That night we dined in the camp’s carpeted hall, and afterwards sleepily watched the locals play after-dinner music and dance and chill out in the way of the desert. 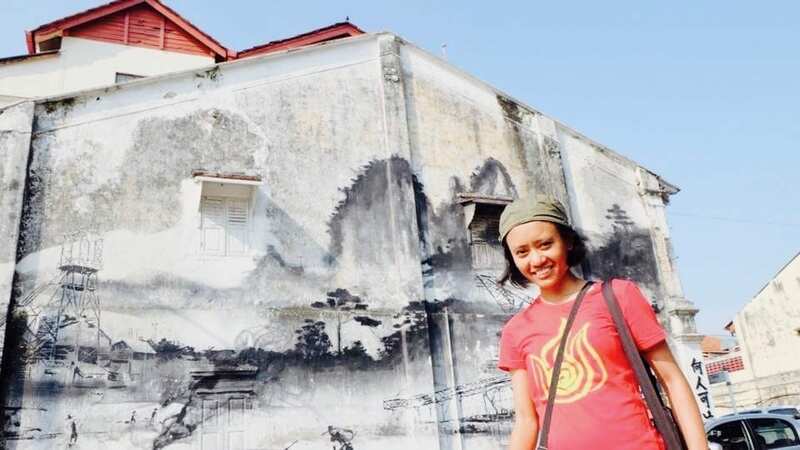 “This is the sort of thing I travel for”, Chian said. 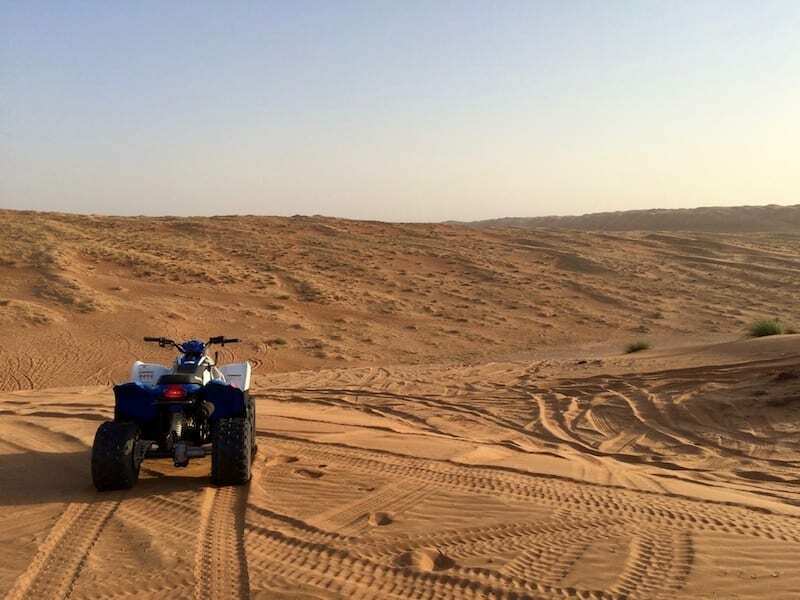 We picked quad biking for the sunrise, for our first morning activity. It was arranged the night before, so that we would know what time to go to the quad bike shed the next day. We met with our guide and got assigned the quads, and he took us just outside the camp where we would get our first lessons in handling the quads. Chian was the only one who had done it before. Because of the high ridges flanking the valley, the dawn light brightened the morning enough to see comfortably, even though the sun was not yet visible in the sky. The area he chose was fairly flat, giving us the best possible chance to practice controlling the vehicle on sand. And it’s tricky. Not the same as on firm ground. I wonder what our super-patient guide thought as he tried to get his four Malaysian tourists to a decent level of competence, in time for the sunrise. Quad biking is for the confident. You can’t rev too lightly, or you’d not get traction. Revving faster is good – until the ground tilts ever so slightly and you compensate too late because of the resulting speed. That’s when you instantly veer off into the soft sand and get stuck. Wheels throwing up sand and miring the quad even more firmly. So then the guide has to come over and lift the thing out bodily. “Something something go, something something go,” the guide insisted. 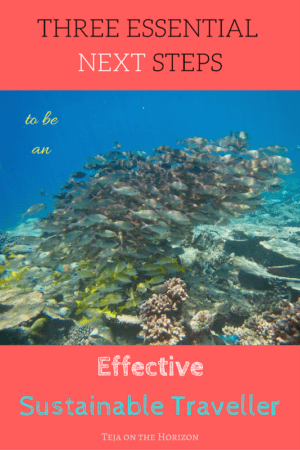 It was a phrase he often repeated. It took us quite a while to decode his rudimentary English. Finally I switched to my ‘Malay brain’ and it became suddenly clearer. Sedikit-sedikit, he was saying. Basically, rev slightly but continually. Thank God for bilingualism. Eventually we were capable of maintaining mostly forward movement, and so we started on the morning ride. We rolled along the desert trails, marked no more than by the tracks of quads that had gone before. I soon developed a sense for what the firmer sand portions looked like, vs the more treacherous parts that would spin me to unexpected directions or mire my wheels. Nonetheless, managing the quad still took a lot of concentration for me. Any time I began to daydream, or become distracted by a particularly enchanting dune landscape, I’d hit a bump and compensate too late. We were told to follow in roughly single file, towards landmarks our guide pointed out to us. There were portions during the ride when one or another of us would frequently get stuck. Our long-suffering guide did a lot of lifting in these stretches. Consequently there were a few moments when we kinda lost someone or other, like when we were to crest a ridge. But these events grew less and less frequent as the morning wore on. Nonetheless, the moments when a team member was lost were not really regretful moments. These were the times when we could take our phones out from where they were secured, to take photos of the desert morning. There was something peaceful in the ride, across the changing but somehow also unvarying desert landscape. It was almost hypnotic and the experience weaves into each other such that it was hard to say afterward, which sight was seen first and what happened. It was very bizarre how differently we remembered things – and how clouded things became in reminiscence. At one point the guide asked us to ride up a pretty steep sandy slope. We were skeptical. After being mired numerous times in slipping sand halfway up the slope, and somehow temporarily losing Cindy, he accepted our limited sand driving skills and thought of a different route. We ended up in a plain of sorts, enclosed on one side by a curved ridge. A pit of loose sand had collected as if it were a lake. Here we stayed longer, enjoying the sun as it rose further over the ridge. Afterwards he asked us to take a ride around the edge of the pit one by one, so that we could get videos taken. We wanted to stay for longer, and capture more memories, and our guide was quite indulgent. But eventually he kept looking at his watch and insisted we move on. I think if we’d known in advance why, we might have insisted harder. I’m sorry, you want me to drive down what?? I edged the quad slowly, right to the edge of the dune slope. I could feel Chian somewhere next to me on hers. The guide was talking her through just… you know, revving her quad off the cliff. Unsurprisingly, Chian was the first one to volunteer riding to her doom to go through with the challenge. I looked down and contemplated said slope. Well, maybe it wasn’t a cliff. But it looked pretty damn steep from the top. The problem was, we were told to rev, go, and not to brake. Wait, what? Not brake? Because of the sand, apparently. It could tilt the quad or mire it. This is not a slope you wanna be stuck halfway on. “Something something, yes go,” he encouraged Chian, as he bodily pushed the quad slowly over. “No brake,” he emphasised for the dozenth time. The quad began to assume a degree of momentum, as it angled down the slope. “Open brake, open brake! Something something, open brake! !” insisted the guide. The quad rolled with surprising gentleness down the sandy slope. I was supposed to wait until Chian reached the bottom before coming after her. Except there was one problem. I had moved it close to the edge, before pausing in my cold-footedness. The quad, however, apparently had much warmer feet. Its front wheels began to sink forward, slowly tilting the whole quad down to the slope. “Er, I have no choice, I think I kinda have to go!” I exclaimed. The guide looked like he was about to laugh. He continued to exhort Chian to release the brakes completely. “Yes!” he cried out, as Chian cleared the slope, as if it was his personal triumph. “You see now?” he said to the three of us. I guess I imagined that gravity would began rolling the quad down unchecked down the dune slope and I’d be hanging on for dear life. But actually, the loose sand made the descent much slower and gentler than I expected. After an initial instinctive reaction to brake, I overrode the impulse and just let the quad roll down. It did so gradually and quite evenly. Nothing whatsoever to be nervous about. I cleared the slope handily, revved to join Chian, and waited for Cindy and Yoke Ping to come down, feeling quite pleased with myself. We all remembered the exhilarating ride to the sunset view the previous evening. 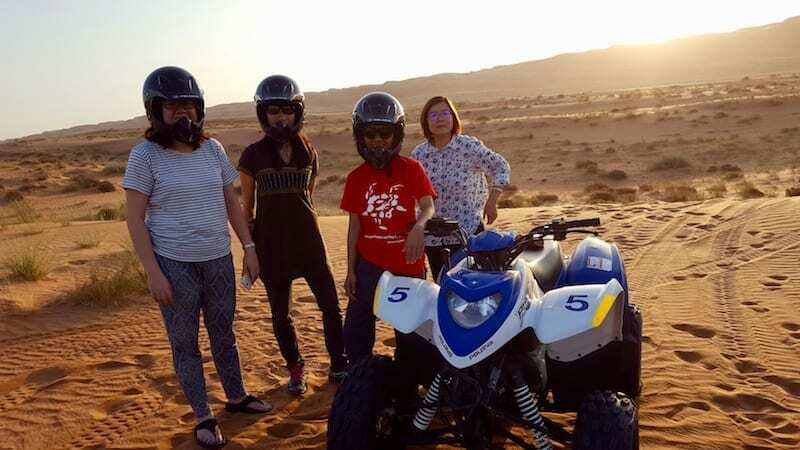 The consensus was to go dune bashing across the desert. It was a different way than the quad biking area. It crossed more dunes, rocketing up and over and down in a most exciting manner. We reached spots that looked like they might be wadis, getting some water on occasion. We were told once every so often, tentative greenery might spring from the desert. One day, it would be lovely to see that transient revival of life in this otherwise sere landscape. I shared the activities with my adrenaline-seeking mountain biking friend. He gleefully questioned whether it might be against my sustainability principles to tear across fragile desert landscapes in fuel-hungry power vehicles. Irksome, but I do like keeping friends who keep me honest – whatever the purity of their motivations. Anyway, it did make me pause. 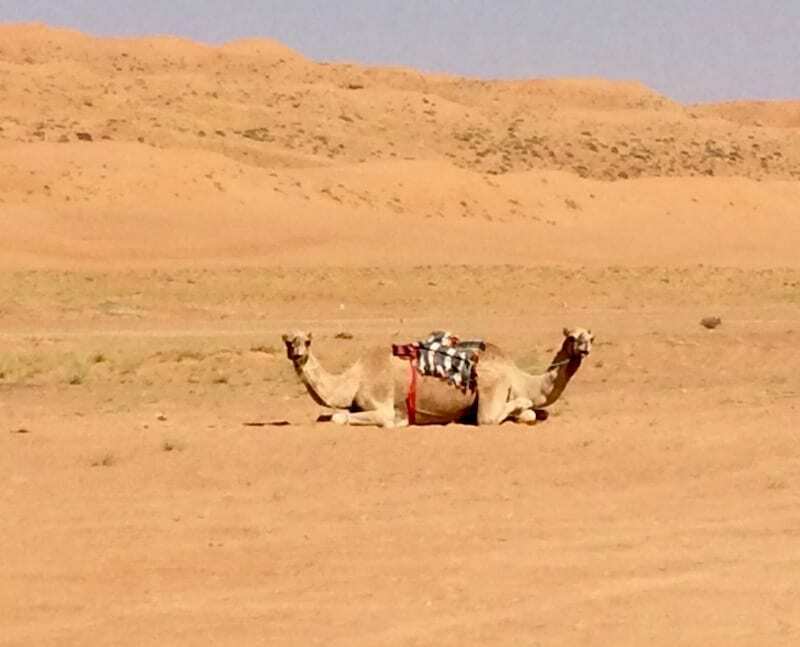 I knew nothing about whether the Sharqiyah desert was fragile. It looked barren, but then I also know that this does not mean the same as lifeless. 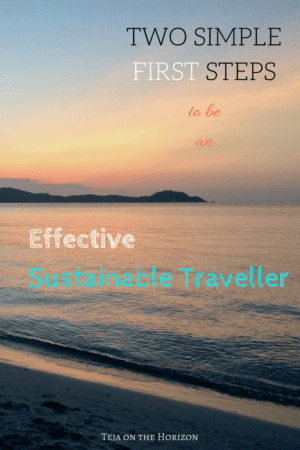 At any rate, the level of tourism that I saw was still quite low – but could it change? I guess a less exhilarating but more charming way to catch the sunrise would be to do it by camel, which was also offered at Arabian Oryx. For our group, though, it was the first time being hosted in the desert for all but one of us. We had a great time – albeit regrettably a very short one. And all through the next day’s road drive back and over dinner, we argued over who got lost where, and which event happened before the other, during that morning quad bike ride. (No, seriously. This is white dress/blue dress level of arguing). Protect your phone/camera with a heat-resistant or insulating case. They would not let you bring a bag for safety reasons in case you tip over, albeit the quad is a very stable vehicle. The guide initially carried ours in a bag himself, but the heat on the quad itself melted the plastic of the bag and the case of one of the phones. Thereafter we kept them in pockets but anyway temperatures are high all around. Special thanks to Cindy (hi Cindy!) for her phone with the awesome camera, and for dutifully chronicling many of these moments. Hi.. nice thoughts that you are shared.. i am very happy to hear from you.. nice words and nice articles about concern topic. you are articel is very nice. Thank you for the wonderful article, Teja! I’ve been dreaming about such a family vacation for a long time. 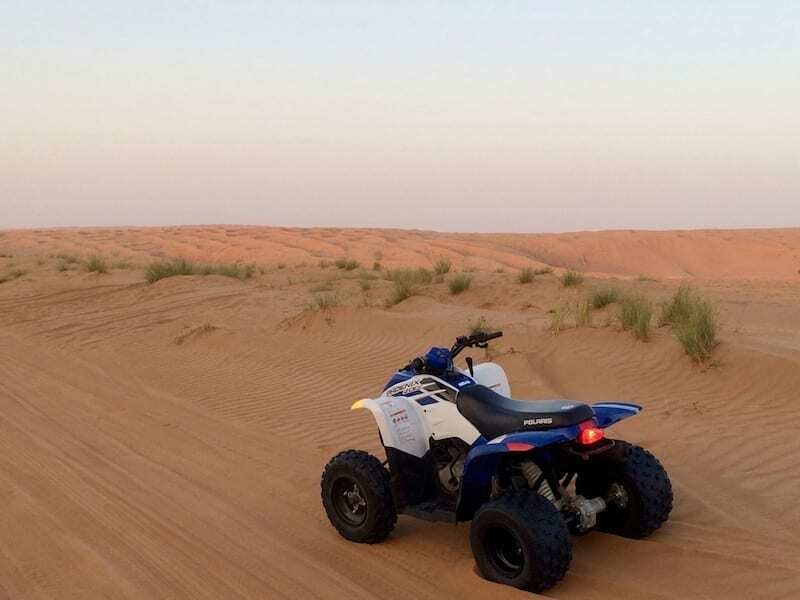 We want to rent UTV and drive in the real desert. I hope we’ll be able to do that on the nearest vacation! Everyone does that in Oman all the time! It’s like the local weekend thing, going back to the desert – or at least having the option to. 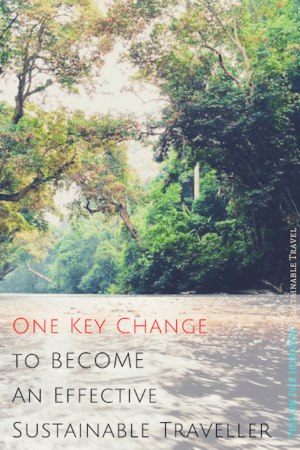 Such a cool travel story! 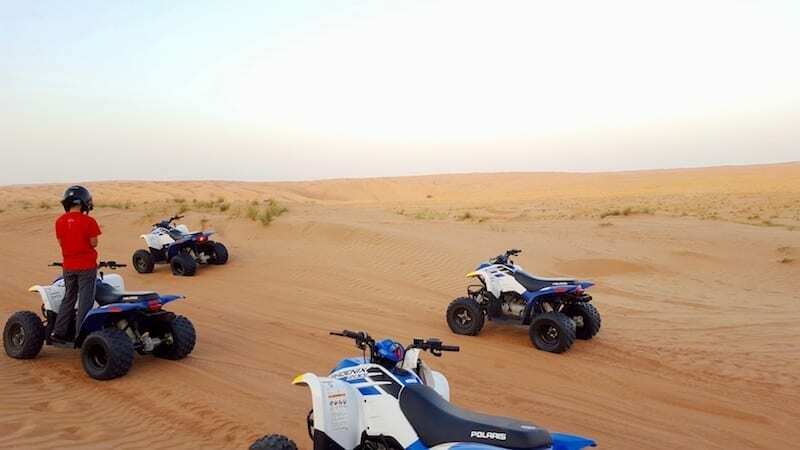 Quad biking seems like an absolute blast. Would you be able to direct how you booked these excursions? I can’t seem to find it anywhere on the internet. My colleague who’s an expat there, arranged it. 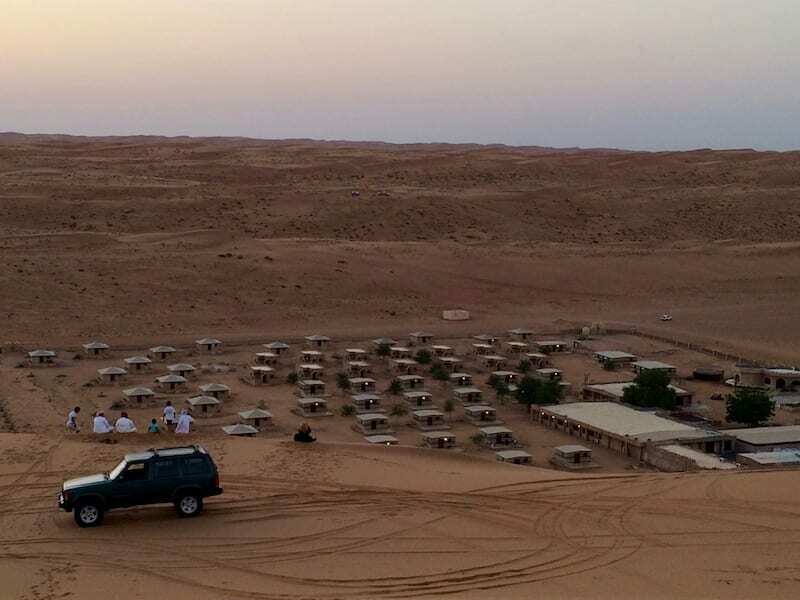 We booked into the Arabian Oryx camp in Wahiba Sands. All of the excursions are booked while at the camp. It’s really easy, once you’re at the camp. There’s sandboarding as well, which we didn’t do. 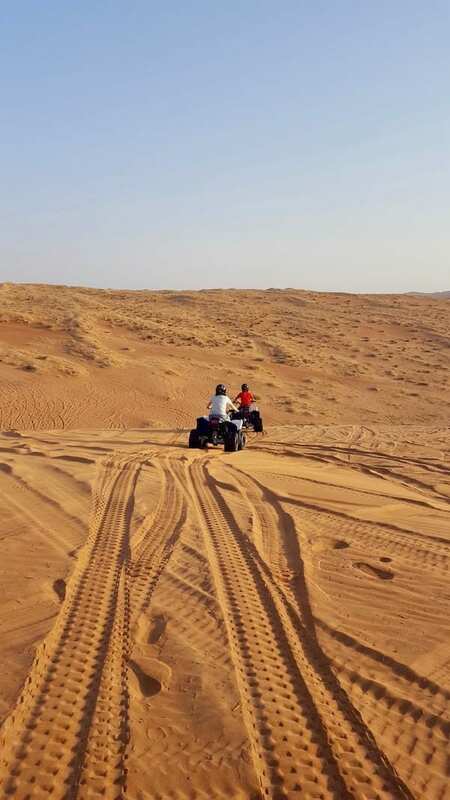 You can also do the sunrise excursion as a camel ride instead of the quad biking. 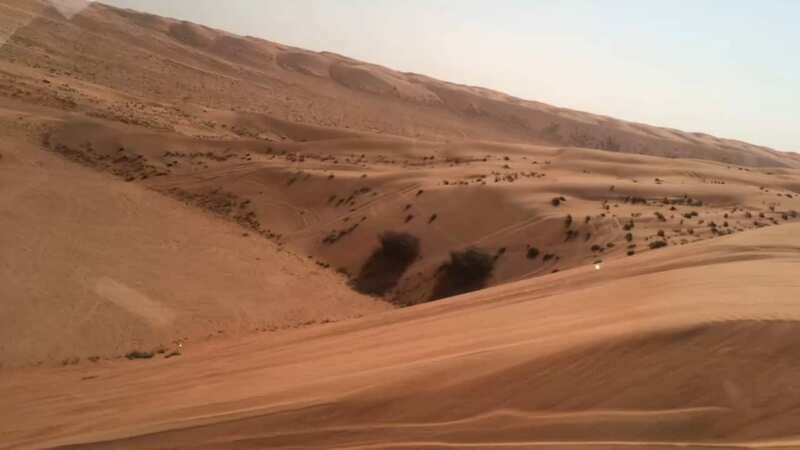 And you can also book an into-the-desert excursion to a Bedouin oasis settlement deeper in the desert. Options for those staying longer than a weekend! Thanks! Hope you would subscribe – I occasionally write elsewhere and I share those articles with my subscribers along with ‘backstage’ stuff! Awesome article!! I just have a problem with sand, it’s annnoying, it gets everywhere, it sticks, hitches… But I would still love to do it!! It does, that I admit. My shoes were filled with sand. But at least in the desert it’s so dry that it doesn’t really stick. Definitely wear sandals that are easy to clean out later. When you say the dunes are romantic, I totally agree! This looks like such a fun, fun experience! I’d have so much fun doing this! What a cool experience! I’d love to photograph a desert landscape like this. It’s really one of my bucket list items to do this! Spending a night in a dessert must be such an incredible experience. The sunset looks so romantic! What a beautifully written piece. You really evoked the desert. I have to say, you are much braver than I would be tearing around on a quad bike (I was scared when it was a professional).